The Wrightstown Police Department strives to provide service to everyone in the community fairly and equally. We hope that the information on this page will be helpful in explaining why an officer may have to stop and question a citizen and reduce elements of conflict when confronted by an officer. When law enforcement representatives question a person, there are underlying reasons. They may be checking out a complaint phoned into police by someone in the neighborhood. They may have received a report of some criminal activity which has just occurred in the area. Your presence might indicate that you are a potential witness who would be able to provide valuable information in an investigation. In some cases the officers’ observations might lead them to think you are having trouble and need assistance. The best way for them to clarify the situation is to ask questions. With all due respect to citizens’ rights, officers have a responsibility to properly investigate matters which may threaten public safety or involve breaking the law. Their questions are not necessarily an accusation, and your cooperative response can alleviate potential conflict. Your forthright responses, if an officer does stop and question you, will usually quickly resolve the situation. If the officer hasn’t told you why you have been stopped, you may inquire. Do not get out of your car unless the officer asks you to step out. If you are asked to do so, comply in a calm manner. A sure way to put an officer at ease is to communicate your actions in advance by telling the officer what you will be doing before you move. Also, you can ask to see the officer’s identification. If requested, you must give the officer your drivers license and vehicle registration. Tell the officer where it is before reaching for it – especially if it is tucked away in the glove box or some other unusual place. An arrest warrant commands a police officer to arrest the person named in the warrant. It also authorizes the officer to search the residence of the named individual in order to locate the person to carry out the arrest. An arrest warrant does not permit the entry and search of a third party’s residence for the named person without a search and seizure warrant. A search and seizure warrant is a document supported by an affidavit and signed by a judge commanding a police officer to search a specifically named premises for the property or person described in the warrant. The officer will provide the resident with a copy of the warrant after reading the contents of the warrant to them. Once the search is completed, a list of the property seized will be provided. Does my child have to be in a safety/booster seat? I'm applying for a job and they want me to provide them with my fingerprints. Where can I get my fingerprints taken? 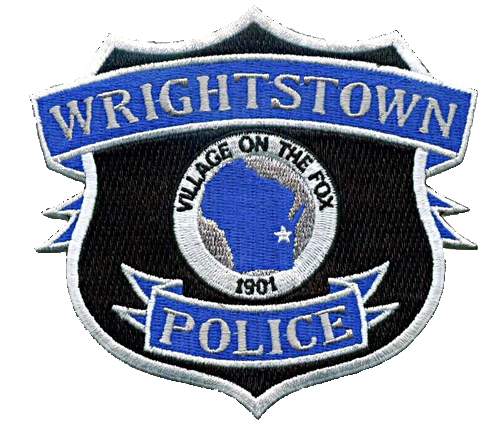 If you are a Village of Wrightstown resident, the Wrightstown Police Department will take your fingerprints during normal business hours. Please call ahead to schedule an appointment using the non-emergency phone number 532-6007. I have moved to a new address, do I need to notify the DMV? I'm moving to Wrightstown from another State. How soon do I have to change my driver's license and vehicle registration? Once you have established residency, you have 60 days for your driver’s license, 30 days for a CDL and immediately for your vehicle registration. Click here for information on new resident driver’s license. Click here for information on new resident vehicle registration. Where can I go to make sure my car seat is properly secured in my car?